Lisbon, late summer 1980. Two sisters, sixteen and seventeen years old have just arrived from Angola to escape the war. Left to fend for themselves, Alda and her younger sister Maria will have to learn to survive in a foreign city without financial means. With the support of others in the Angolan community, in a gray, polluted suburb, they put together a precarious existence. 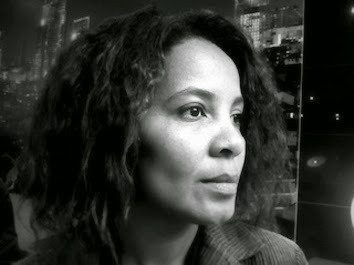 Originally from Angola, where she was the first female camera operator, she now lives in Paris. After studying at the National Conservatory of French Cinema, she devoted herself to photography and the production of short documentaries. In 2002, she was part of the group of artists at the Cité internationale des arts and participated in various exhibitions of contemporary art. Among others, she directed the 56 mn documentary, Il y a toujours quelqu'un qui t'aime (There is always someone who loves you), which competed in several festivals and received the SCAM award. Her first feature film, Alda and Maria has received awards in several festivals, including the Los Angeles Film Festival for best film. I came to cinema a few years ago making documentary films about the collective memory of Angola; my first film focused on Angolan history. One day I found myself on the outskirts of Lisbon and realized that the story of these Angolans had not been told, in this vast space where a majority of Angolans live. The history of the Angolan youth who migrated from Angola in the 1970s to escape the military service. I myself experienced a part of the story of the film. I first began with a little documentary and then I wrote a fiction film. I did not initially intend to do a fiction film. I wanted to make a documentary as I really like that genre. As it is a rather personal story, I did not want to focus only on me. I wanted to talk about other Angolan immigrants who I encountered when living that experience in Portugal. I wanted to cast young people living in Lisbon; I met a lot of people, a lot of youth there. I met the children of the immigrants because this is another generation. I wanted to work with young people who were not professionals. During the casting I met so many people who told me their stories, which enriched the scenario. It was fantastic to work with the young people. The two girls and two boys had an extraordinary drive. We had very little time because there was not a lot of money to work with. They learned the script by heart, and that was so gratifying, since we could then focus on the staging and the directing of the actors. Even though it was a dramatic story, we were constantly laughing, exchanging ideas and stories. It was great. After this film I started working on another project. There were producers who contacted me, a French producer, my Portuguese producer with whom I continue to work, as well as a Swedish producer. 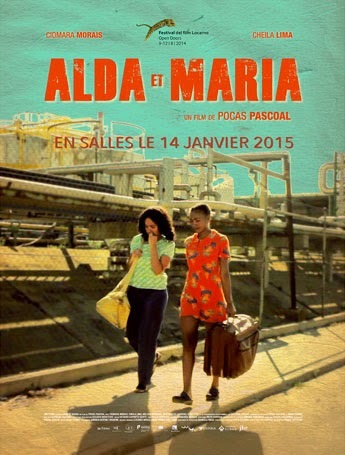 This new film project will take place in Angola this time. I think if one looks for it, really wants it, there is always a place. Even if they are not independent productions one may always find the moment to express oneself and be creative.